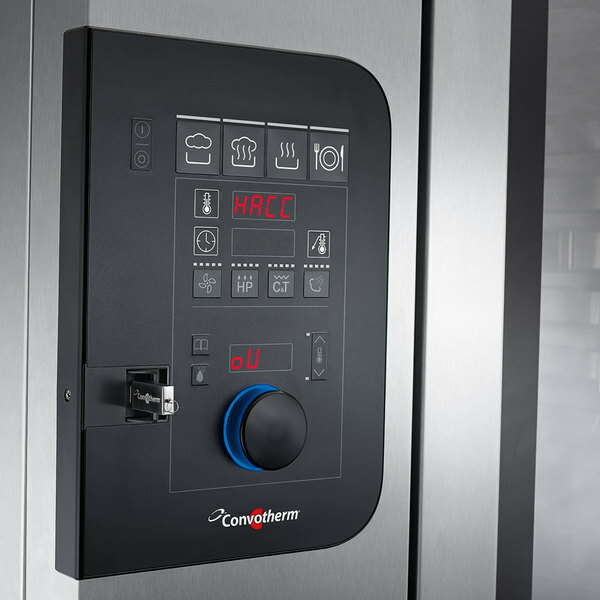 This Convotherm C4ED20.20EB full size roll-in electric combi oven features a large digital display and easyDial controls to make it easy for you to navigate the menu. 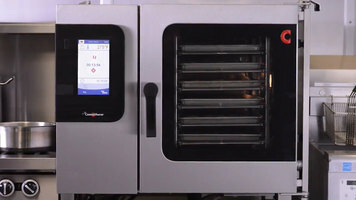 It has storage for up to 250 recipes, plus 99 numerical cooking recipe files! 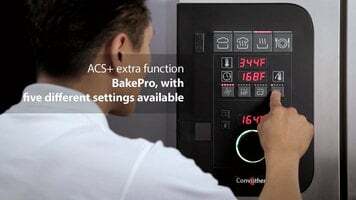 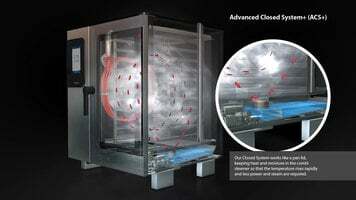 Other great features include 5 fan speeds with auto-reverse, 5 level humidification control, 5 level dehumidification control, and 5 levels of steam injection for traditional baking. 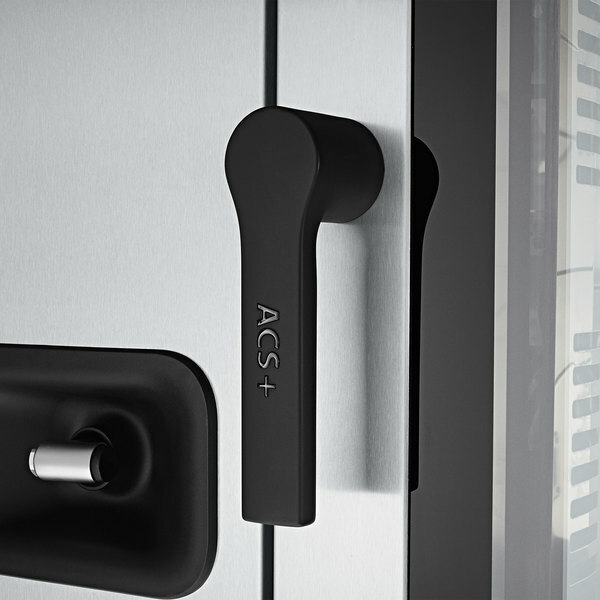 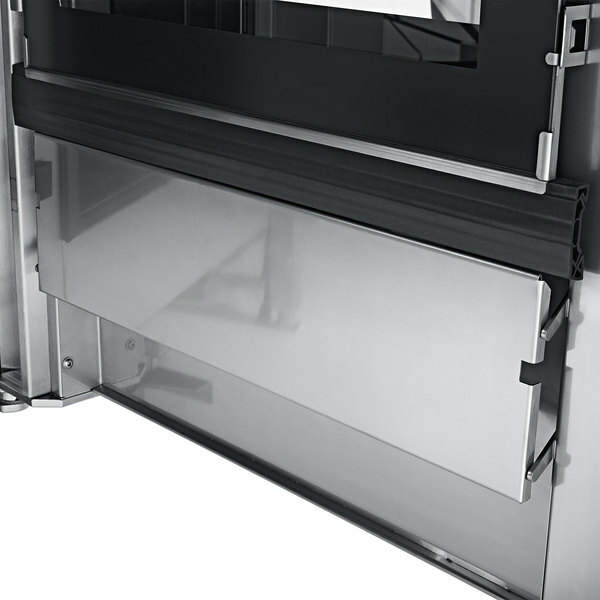 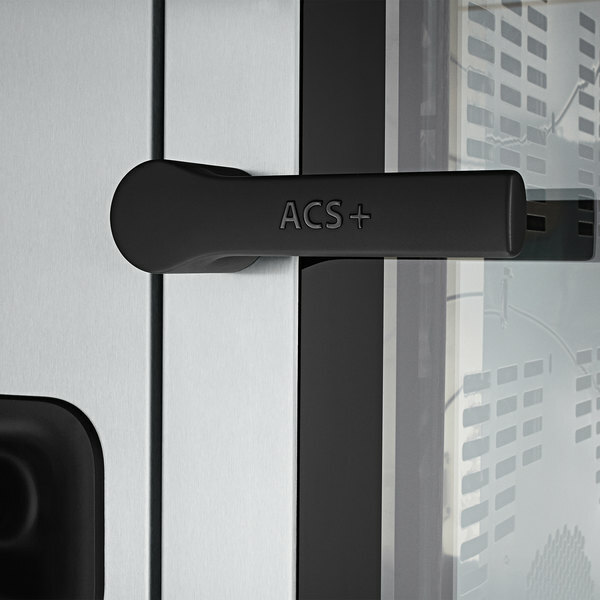 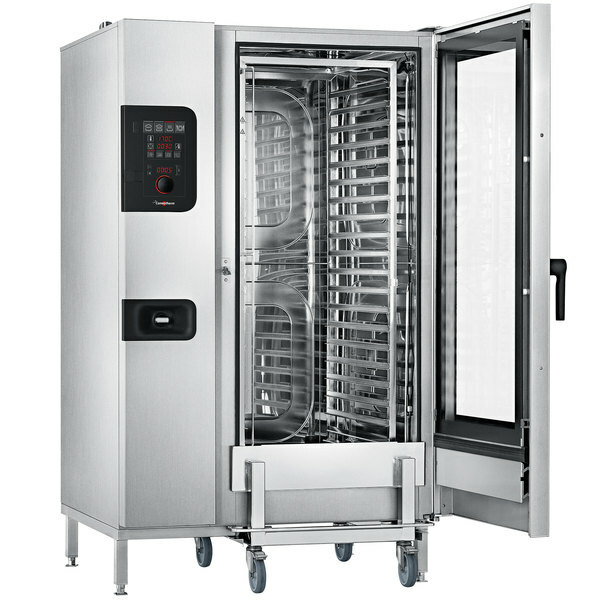 The right-hinged door can be slammed shut without the worry of it breaking, which is great for busy commercial kitchen environments, and it features a two-stage handle with safety vent protection to help avoid injuries from steam. 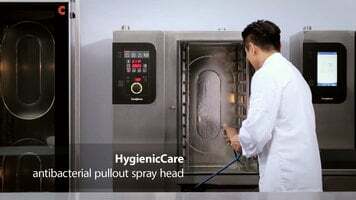 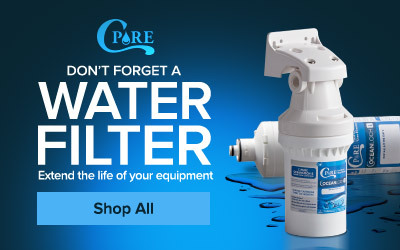 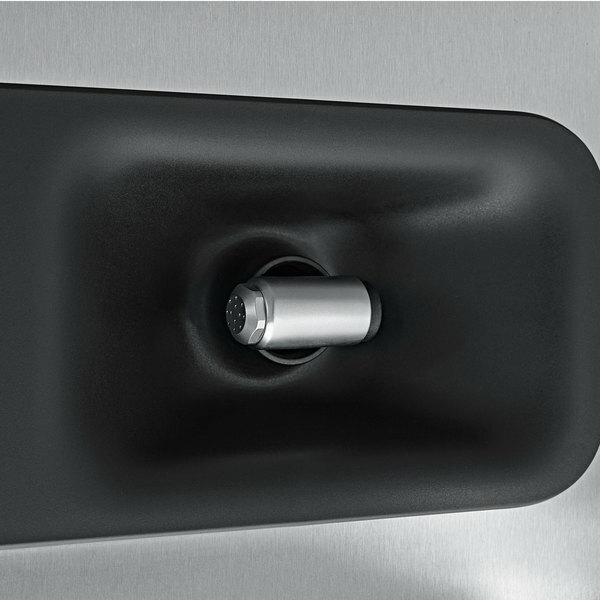 Made with an anti-bacterial material, the door handle, hand shower, and touch screen help you avoid contamination and keep your kitchen environment clean and sanitary. 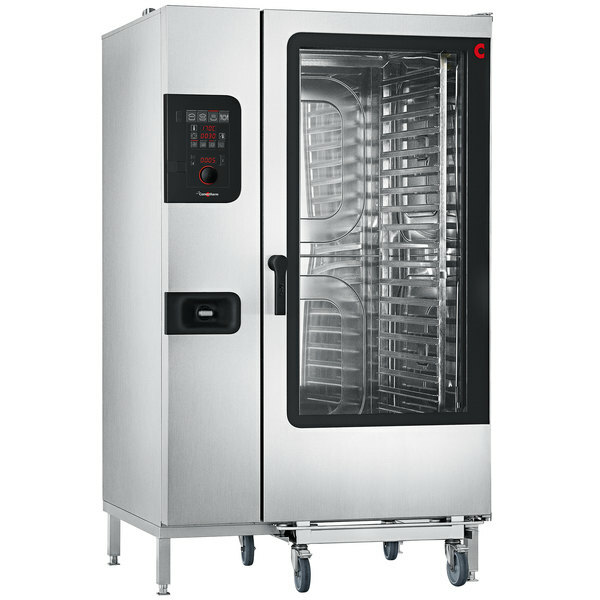 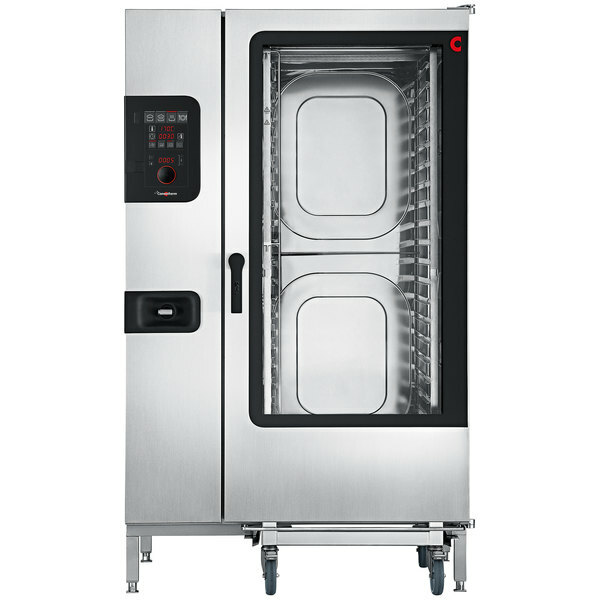 To aid you in that endeavor, this combi oven has a built-in, retractable hand shower and HACCP data storage. 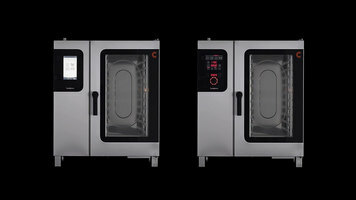 Plus, the easy-to-access USB port provides a convenient method to import or export data from your combi oven. 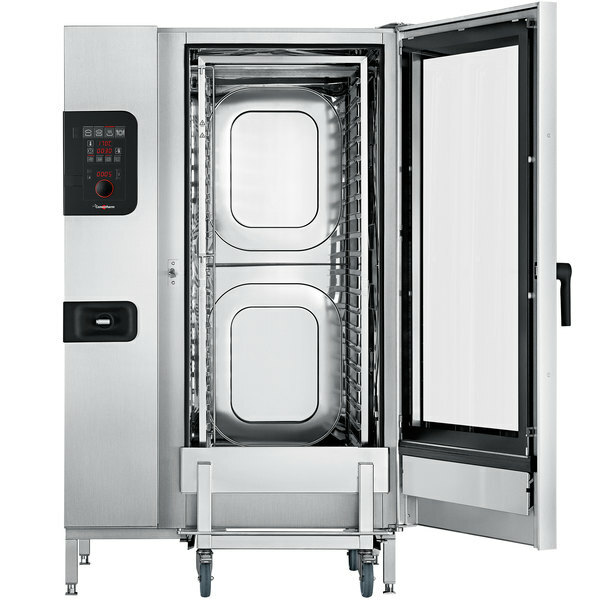 This unit can hold up to 40 half size sheet pans or full size steam table pans, or 20 full size sheet pans.